This well-established course focuses on the design of interior spaces within existing buildings, and on design that links human activities and events to specific places and spaces. and techniques. Using drawing, model-making, film and mixed media, you will explore the re-imagining of space for new or different purposes while developing a critical understanding of the experience of space at personal and group levels. Project work is supported by the development of design, communication and analytical skills. You will learn how to design for the needs of clients as well as the professional, legal and public contexts of working in industry. There are multiple pathways through the course, enabling you to develop the passions you bring with you by learning new techniques while maintaining your unique creative identity. Each year there are optional field trips and students also have the opportunity to help to run the Brighton Interior Architecture and Architecture Student Society (BIAAS) organising lectures, events and exhibitions. Art and design at Brighton is ranked 8th in the UK and in the top 40 globally by the QS World University Rankings 2019. You’ll study in Brighton, a coastal city renowned for its culture of creativity. Through community engagement, you’ll have the chance to use your acquired expertise to enhance and transform local projects. Through community engagement, you'll have the chance to use your acquired expertise to work on live projects such as set designs, exhibition installations and competitions. These projects have included TEDx Brighton, EcoBuild in London and a garden project with the Brighton and Hove Food Partnership. You’ll participate in a vibrant studio culture, sharing ideas, creativity and techniques and replicating the working environment of the professional design world. You’ll learn how to formally present your work to external consultants, tutors and your peers. Each year there is an optional field trip that expands your architectural and spatial design knowledge base. We employ a range of assessment methods, including public reviews, peer reviews, portfolio submissions, reports and essay submissions to give you the critical feedback you need to excel. Each year six students help to run the Brighton Architecture and Interiors Student Society, which organises lectures, events and exhibitions. Throughout the course, you will be building a portfolio to help you stand out from the crowd. Please enable targeting cookies in order to view this video content on our website, or you can watch the video on Vimeo. All Interior Architecture BA(Hons) students participate in the Context Workshop Week - a five-day project-based learning activity. The aim is to introduce specific skills, techniques and processes that will inform your design practice and thinking. In year 1, you will be introduced to the discipline of interior architecture within a wide historical and cultural context, establishing your skills, specialist knowledge and practices. This module will introduce you to the Interior Architecture course, with the broader aim of enabling you to understand the physical context of existing structures and situations and how to design appropriately for them. In doing this you will develop core representational skills in order to communicate your ideas effectively. In this module you will learn how small-scale design/spatial interventions have the power to transform existing contexts. You will be introduced to a range of creative design, production and representation techniques through a range of workshops. This module explores the narrative of existing buildings and introduces the range and use of narrative tools for exploring inhabitation, complexity of programme and contextual engagement. This module introduces social, historical, political and fictional elements into the design and presentation processes as a method for developing design briefs, site responses and speculative design propositions. This module provides an overview of major themes that are relevant to understanding the context of interior architecture. Specific case study lectures will build into a general survey of the historical and cultural dimensions of interior architecture and related disciplines that inform the built environment in general. This module introduces you to the contested multiple critical voices of the discipline of interior architecture. It focuses on personal development, communication skills and techniques whilst developing a critical voice by understanding and reflecting on diverse approaches that inform interior architecture. Students assembling their bench design for a public garden in Brighton, as part of a collaborative project with the council and the Brighton and Hove Food Partnership. In year 2 you will broaden and deepen your awareness of the field. This is a year for creative experimentation and the exploration of new territories. In year 3 you will have opportunities to apply your skills and spatial design awareness. The intention throughout this year is to consolidate your knowledge, enable you to develop an independent creative voice, and prepare you for entry into professional practice or enable you to engage in further research. Each year, graduating students exhibit their work in the arts and humanities graduate show. Gemma Barton is an academic with a varied and active flair for writing, curating and designing. She has been teaching undergraduate and postgraduate students for almost a decade in architecture, interior architecture, urban design and design thinking. Find out more about Gem's teaching and research interests. Other staff who teach on the course include: Michael Spooner, Terry Meade, and Glenn Longdon-Thurgood. 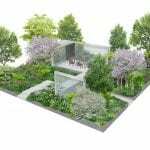 An award-winning Brighton graduate has designed her first garden for the Chelsea Flower Show. 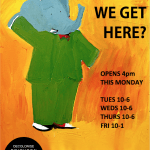 How Did We Get Here is the first exhibition produced by Decolonise Brighton University, a recently-established student group committed to challenging the legacies of colonialism and racism on campus. 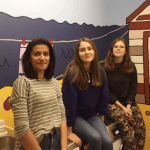 Volunteers from Architecture, Moving Image and Graphic Design have designed and painted a seaside-themed mural at the Royal Alexandra Children’s Hospital. 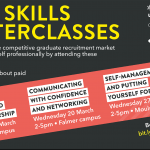 This course aims to develop complex abilities and skills that will enable you to negotiate many different pathways. After graduation, you will have a range of design careers open to you. Most of our former students work specifically in the fields of interior architecture and spatial design, employed as designers or assistant architects. Some go on to complete MA studies in architecture. Graduates may also pursue a range of other opportunities in the design field, including exhibition design, retail design, set design, graphics, and event or gallery management. A number of them follow postgraduate research in specialist areas, for example the health professions, education and the fine arts. Several former students have, in recent years, set up their own design businesses. We are looking for highly motivated and creative students. We will primarily be interested in your portfolio and will select via a personal interview. If your predicted grades fall below these requirements but you can demonstrate a high-quality portfolio, you are still encouraged to apply. We will consider you on an individual basis. A foundation diploma is not a requirement for entry – it is just one of a range of qualifications (for example, BTEC or Access Diploma) that is accepted for admission to this course. Entry requirements are in the range of A-level AAB–BBC (136–112 UCAS Tariff points), or BTEC Extended Diploma DDD–DDM. Our conditional offers typically fall within this range. We will generally make you an offer if your predicted grades are at the top of this range. If your predicted grades are towards the lower end of this range we may still make you an offer if you have a strong portfolio. Pass with 60 credits overall. Art and design diploma preferred. At least 45 credits at level 3, with 24 credits at merit or above. At least three subjects including English language and maths. may enable you to start the course in year 3. Related subjects or practical or professional experience required. IELTS 6.0 overall, with 6.0 in writing and a minimum of 5.5 in the other elements. Once we receive your UCAS application, we invite you to submit a digital web portfolio in support of this. We understand that at this stage you will still be undertaking key pieces of work for your studies, and we would very much like to see this work in progress. Regardless of completion, we are keen to see how you generate and work with ideas. Once we have received your portfolio, if we are able to accept your application, we will offer you an opportunity to come and meet us in Brighton, discuss your work and perhaps participate in a short design-based taster session. What should be in my work-in-progress portfolio? Your portfolio should include up to 20 images of your work (JPEGs or PDFs). These should include preparatory drawings and studies as well as any finished pieces you may have from previous projects/personal work. Please include the type of work you are most actively interested in pursuing. We do not necessarily expect to see architectural work, we are looking for a variety of work in different media showing your ability to experiment and utilise different techniques. Please include a good proportion of analogue (non-computer) generated work. As you will not be present in person to explain the ideas behind the work, you may wish to add a brief statement that supports the images and tells us more about your interests and ambitions. How do I send my work-in-progress portfolio? We recommend using an online site such as Blogger, Wordpress, Tumblr, Carbonmade, or Flickr to showcase your work as these sites can host visual imagery and accompanying text. When digitising analogue works, please be sure to take care with the photography or scanning process, make sure the digital copy is a good quality representation of the original. Make sure that the portfolio is publicly viewable and does not require a log in or account to view. Please avoid Dropbox or other sites that are not suited for hosting visual portfolios. Please do not send pdfs or PowerPoint files directly to us as these are normally too large and likely to bounce and delay your application review. The £250 Perkins+Will Thesis Prize for Architecture is open to final-year students of the Interior Architecture BA(Hons) and the Interior Design MA. It rewards work that exhibits strong design principles and that shows concern for sustainability, social responsibility, diversity, wellness and innovation. Find out about news and events from this course on our art design architecture media blog. Read the latest posts and stay updated with the current courses on the University of Brighton Architecture and Interior Architecture Blog. Follow our students' work and life on the course on Instagram and Twitter.